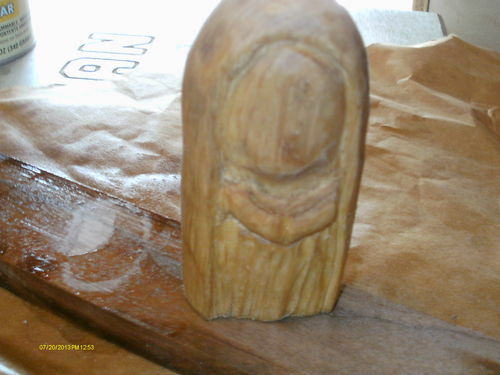 This is my first attempt at designing my own carving. 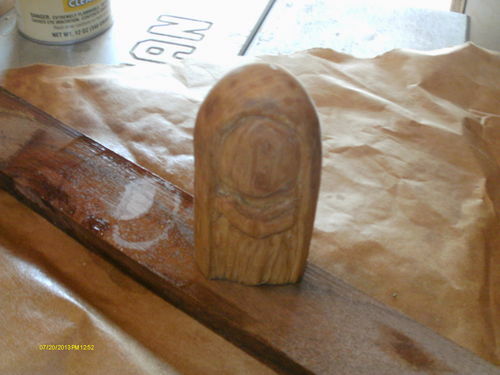 I used a carving I had sitting on my entertainment center as an idea. The following pictures are the result. Just need to put a final finish on it. I call it The Holy Mother. I like it, Rick! Aptly named. Looks Good! Great to have a hobby that You can loose Yourself in! Carving is great. I haven’t had the strength lately. so I enjoy look in in on others work. Very nice! Have a Great day!